Following the company going into administration on 10th August 2018 and subsequent acquisition by Sports Direct, gift cards purchased prior to 10th August cannot now be redeemed online or in-store. House of Fraser advise that replacement gift cards will be issued. We would recommend that if you are sending any gift cards through the post that you make use of Royal Mail’s recorded or Special Delivery services so that you have proof of postage and proof of receipt should this be needed. name to ‘Fraser & Sons’. The chain has expanded through acquisition to over 60 stores in the UK and Ireland. Former famous brands consumed into House of Fraser include Binns, Army & Navy Stores, Dickens & Jones. Some House of Fraser stores trade under their traditional names, for example Rackhams. The store offers a wide selection of premium label brands and has an innovative clothes sizing system on its website which can help to ensure clothes bought online are the perfect fit. House of Fraser offers free next day delivery to store for orders received before midnight. Where can I check my House of Fraser gift card balance? Following House of Fraser’s administration on August 10th and subsequent acquisition by Sports Direct, the gift cards cannot be used in store or online. House of Fraser have described this situation as ‘temporary’. House of Fraser customer services can be reached on 0345 602 1073. 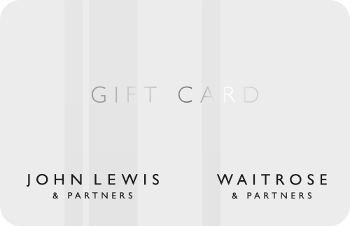 Where can I spend my House of Fraser gift card? 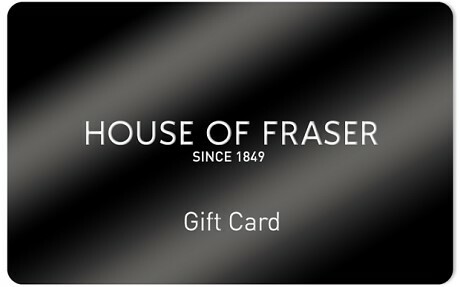 You can spend your House of Fraser gift card online at their website and also at their UK stores, which are; Altrincham (Rackhams), Aylesbury, Bath (Jollys), Birkenhead (Beatties), Birmingham, Bluewater, Stone/Greenhithe, Bournemouth, Bristol, Camberley, Carlisle, Cheltenham, Chichester, Cirencester, Croydon, Darlington, Epsom, Exeter, Gateshead, MetroCentre, Guildford, High Wycombe, Huddersfield, Hull, London (King William Street), London (Oxford Street), London (Victoria Street), London (Westfield), Leamington Spa, Leeds (Briggate), Lincoln, Maidstone, Manchester, Middlesbrough, Milton Keynes, Nottingham, Plymouth, Reading, Richmond upon Thames, Sheffield (Meadowhall), Shrewsbury, Skipton (Rackhams), Solihull, Sutton Coldfield, Telford, West Thurrock (Lakeside), Wolverhampton (Beatties), Worcester. Anything else I should know about House of Fraser gift vouchers and cards? House of Fraser gift cards will expire 24 months from date of last load, e.g. card activation, top-up or refund. At expiry, any remaining balance will be lost. If you’re approaching expiry date but don’t want to spend it just yet, you could top up the card at the till at any House of Fraser store to prolong the validity period.